Satisfy your inner film junkie with Tiger, the newest feature film by Beaufort and is written and directed by former model James McFay. 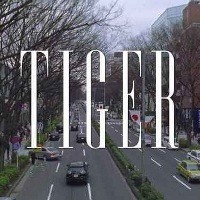 Set in the snow landscapes of Tokyo, Tiger is an intimate romantic drama that follows the story of two disillusioned models who fall in love during the winter fashion season, only to combust when their stay extends. The movie stars models Rachel Blais, James McFay, Pierre Olivier-Beaudoin, Rebecca Victoria, Rory Stewart, and Beata Vildzeviciute. It has already played in the Zero Film Festival (LA) and won the Special Jury Prize at Japan’s Pia Film Festival. Stylish and intricately planned may be the words to encapsulate this 57-minuter film. Using a 35mm format, the creators indulge our eyes with an absorbing series of artistically made shots. Tokyo as a setting was also maximized adding texture to the whole movie. The story shows an offbeat romance from two characters who feel both trapped in their own world and personal circumstances. Though particular in its modeling environment, the film showcases a universal story that is wholly accessible to any audience. Overall, Tiger is a beautiful piece that demands seconds or even third viewings as it offers a great story and glimpses into Japan’s visual culture. So download, press play, and let this film touch your inner core.